Jonathan Kaplan doing Super Rugby duty. Photo by Getty Images. 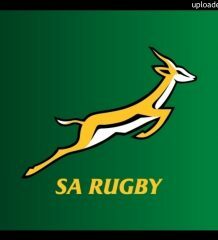 Record-breaking South African Test referee Jonathan Kaplan will retire from professional refereeing at the end of the 2013 South African season. The 46-year-old Kaplan, who has refereed more Tests, Vodacom Super Rugby and Absa Currie Cup matches than anyone in history, steps down after 21 years on SARU’s elite panels. “Rugby has been my life for the past few decades and I’ve made the decision with a tinge of sadness,” said Kaplan. “But the time has come to move on and make way for the young referees we have coming through in South Africa. “I’ve had an incredible career, and I’d like to thank both SARU and the IRB for the opportunities they have given me. “Jonathan has been one of the world’s best referees for a very long time now and has been a credit not only to South African rugby but the profession of refereeing,” said Jurie Roux, CEO of SARU. Kaplan will complete his century of Vodacom Super Rugby matches when he takes charge of the Toyota Cheetahs match against The Sharks in opening South African round of Vodacom Super Rugby. “I’d like to thank my special family, and friends for walking this journey with me and the public for their generous and unwavering support,” said Kaplan. “It has been an incredible ride and I have made some great friends across all cultures and experienced some unique moments through rugby.